Areas of Law: -Civil Litigation -Federal Court -White Collar Crime -Corporate Law -Business Law -Trusts And Estates -Wills -Probate -Elder Law -Estate Planning -Estate Administration -Banking Law -Wrongful Death -Personal Injury -Collections -Employment Law -Mediation -Business Associations Law -Business Dissolutions -Business Formation -Business Estate Planning -Business Litigation -Business Organization -Business Planning -Business Reorganization -Buy-Sell Agreements -Closely Held Business Estate Planning -Complex Business Litigation -Limited Liability Company Law -Commercial Collections -Post Judgment Collections -Contract Litigation -Closely Held Corporations -Corporate Contracts -Corporate Dissolutions -Corporate Fiduciary Law -Corporate Litigation -Corporate Organization -S Corporations -Elder Abuse -Adult Guardianship -Advance Directives -Guardian Ad Litem -Guardianship Administration -Incompetency Proceedings -Mental Disability Law -Medicaid Hearings -Medicaid Planning -Charitable Giving -Nonprofit Organizations Law -Tax Exempt Organizations -Contested Trusts and Estates -Estate Administration -Estate Litigation -Estate Planning -Estate Planning for Parents of Handicapped Children -Estate Planning for Unmarried Couples -Estate Planning for the Disabled -Estate Planning for the Elderly -Fiduciary Liability -Fiduciary Litigation -Living Trusts -Pet Trusts -Powers of Attorney -Special Needs Trusts -Trust Administration -Trust Litigation -Unclaimed Property -Living Wills -Contested Wills. The McAllister Firm, PLLC will represent your Family legal matters. Phi Beta Kappa. Morehead Scholar. U.S. Attorney, Middle District of North Carolina, 1981-1986. Member, 1983-1986 and Vice Chairman, 1986, Attorney General's Advisory Committee of U.S. Attorneys. General Counsel, 1988-2001 and Senior Executive Vice President, 1997-2001, Wachovia Corporation. Member, Board of Visitors: Wake Forest University School of Law, 1989-1996; University of North Carolina, Chapel Hill, 1989-1993; Duke University School of Law, 1996. Director, Piedmont Triad Airport Authority, 1998-2001. Member, North Carolina Commission on Business Laws and the Economy, 1994-2000. Member, Board of Advisors, UNC School of Law Banking Institute, 1998-2002. Board of Directors: Lawyers Mutual Liability Insurance Company of North Carolina, 2003 (Chairman 2012--);Culp, Inc., 2002(Lead Outside Director); High Point Bank Corporation, 2002; and High Point Community Health Fund, Inc. NCDRC Certified Superior Court Mediator. Business North Carolina Magazine "Legal Elite" in Corporate Law 2002 and 2003. North Carolina Bar Association 2010 Centennial Award. Permanent Member of the Fourth Circuit Judicial Conference. 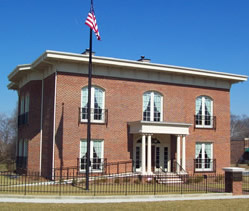 High Point (President, 2006-2007), 18th Judicial District Bar (President, 2007-2008); North Carolina (Member, Board of Governors, 2000-2003) and American Bar Associations; North Carolina State Bar; National Association of Former U.S. Attorneys; Fourth Circuit Judicial Conference (Permanent Member). North Carolina State Bar; High Point Bar Association; and North Carolina Bar Associations. Mr. Bryant T. Aldridge, Jr.
Former High Point Police Attorney; Former High Point City Attorney; Past President High Point Bar Association. High Point and North Carolina Bar Associations; North Carolina Advocates for Justice.